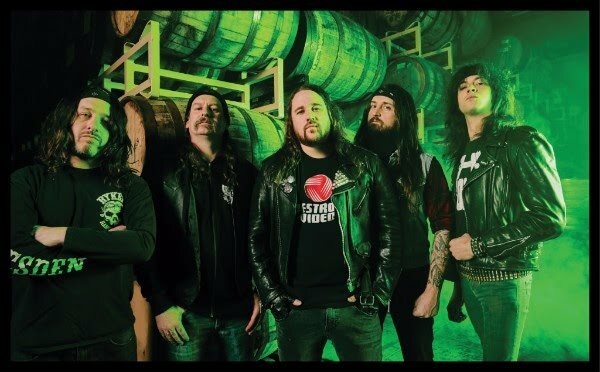 On November 2, Richmond, Virginia's MUNICIPAL WASTE will embark on a 17-date co-headlining U.S. tour with California heavy rockers HIGH ON FIRE. The "Speed Of The Wizard" trek will kick off in Dallas and visit Brooklyn, Boston, and Denver before concluding in Santa Ana on November 26. 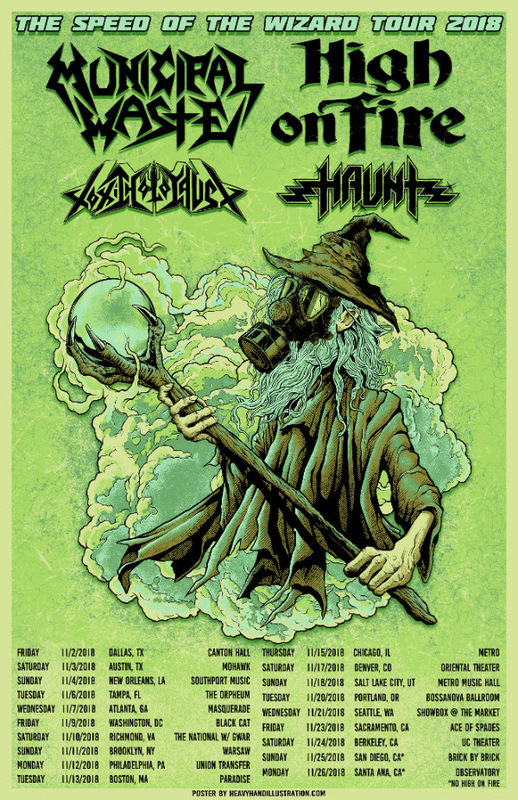 Direct support for the tour will come from Portland thrash metallers TOXIC HOLOCAUST and Fresno's HAUNT. MUNICIPAL WASTE's Tony Foresta comments: "We're really excited to be teaming up with our brothers in HIGH ON FIRE to put together this sweet package of killer bands. We couldn't be more pleased with how everything came together. Stoked to travel with our old friends and one of our favorite thrash bands TOXIC HOLOCAUST as well as getting blown away by HAUNT every night. See you soon!!!" MUNICIPAL WASTE's sixth studio album, "Slime And Punishment", was released a year ago via Nuclear Blast. The disc was the first WASTE album to be engineered by bassist Phil "Landphil" Hall at Blaze Of Torment Studios in Richmond, Virginia. Mixing and mastering was completed by Bill Metoyer (SLAYER, W.A.S.P., LIZZY BORDEN and DARK ANGEL) in Hollywood, California. 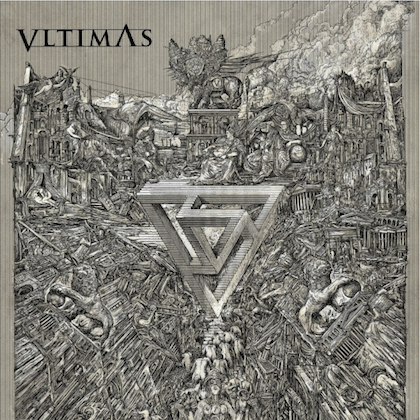 The cover artwork for "Slime And Punishment" was created by the band's good friend, Andrei Bouzikov. 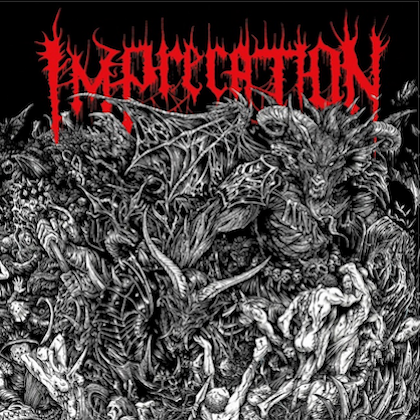 This was the fourth cover he created for them as he was responsible for the art for "Massive Aggressive", "The Art Of Partying" and the split with TOXIC HOLOCAUST, "Toxic Waste".